Standard - $98.99 Only 1 left! Do you ever wonder what the cows are up to once the barn door is closed for the night? We're sure they have the occasional hoedown after the farmer is home for the night. 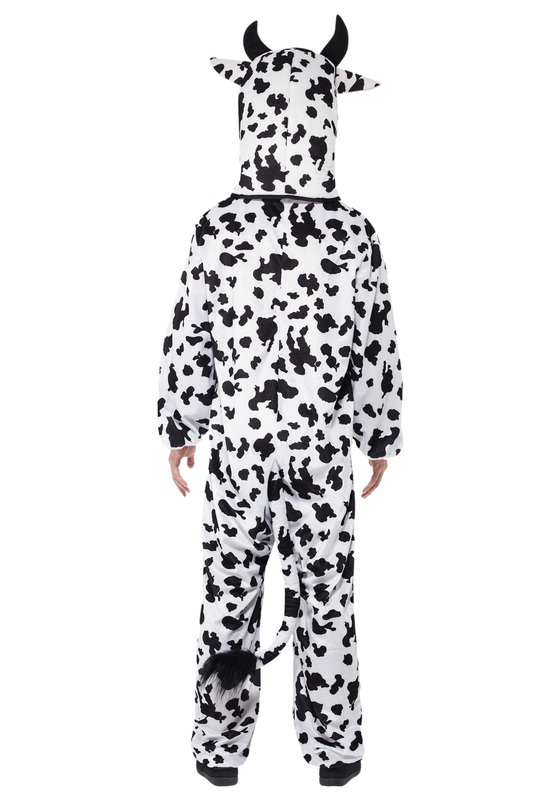 You'll blend right in and find out if you dress up in this cow costume. None of them will notice you're there because you're going in-cow-nito. Yeah, we're not apologizing for our puns, you know you were waiting for it. In fact, once you slip this jumpsuit on, you'll find cow jokes udderly irresistible. Cows are some of the easiest barnyard animals to imitate. Just think about it. Just chew some gum to imitate that lovely cud action they've got going on. They also have the most delightful moo, which is easy to imitate especially when you have this ensemble on. Now all you have to do is choose your cow name, we're pushing for the dignified Sir Loin. This outfit is simple to jump into. Simply get in, zip up the front, and Velcro on the plush cow head. Once you're in, we have many ways you could milk this costume, here are only a couple: walk to your local ice cream place and try and get some free cones, if they ask you to pay, say that you don't have any moolah. Try entering the 4-H competition at your county fair. Go to the butcher counter at your local store and ask what the hamburger patties are made of. Or you could just go trick-or-treating, up to you. 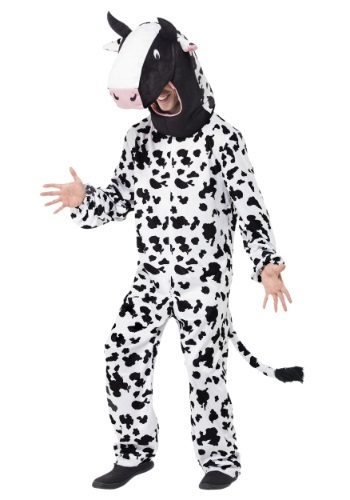 Whether you're investing in this ensemble as a new mascot for your burger joint or you've decided to win the blue ribbon this Halloween, this outrageous cow costume is a crowd-pleaser. Wear it for your next costume contest, the competitors are sure to get creamed.